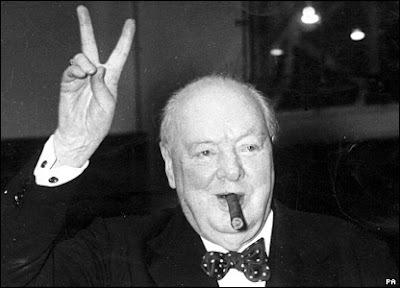 Knights of Creativity Spirit & Ale: Victory on Sir Winston Day! Break out the Romeo y Julieta cigars and join Sir Winston Churchill in celebrating Victory yesterday...KMSA's official Feast of Sir Winston...and the Indianapolis Colts victory over the upstart New York Jets for the AFC Championship. "Courage is going from failure to failure with losing enthusiasm." "I never worry about action, only inaction." "Courage is the finest of human qualities because it guarantees all the others." Indeed, this was their fines hour! Peyton Manning with the patience and courage that is required in battle, slowly and methodically took out the much touted Jets defense to once again prove the critics wrong. He indeed was able to master difficulties and turn them into opportunities to win! 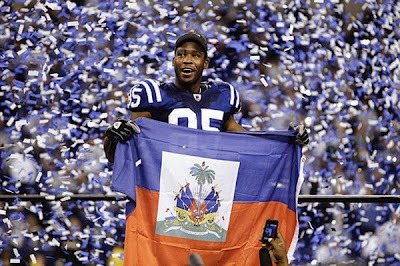 One of his weapons of choice was Pierre Garcon, a Haitian-American, who used the negative energy of the catastrophe in his homeland as inspiration to play his best. Pierre set an AFC Championship record with 11 (hard earned and impressive) catches and scored one of the touchdowns. 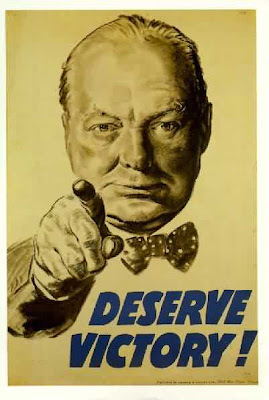 So, take to heart the examples that Sir Winston, Peyton Manning and Pierre Garcon personified on Sir Winston Day...and remember that YOU DESERVE VICTORY! 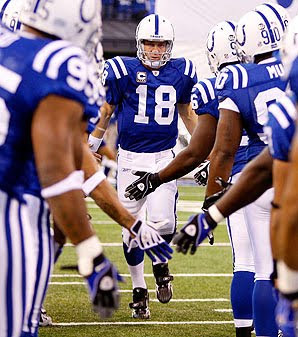 The Colts deserved victory MORE!